The Pound had another high volatility day, as Brexit headlines kept bombarding news feeds. The UK government avoided losing control of negotiations and a second referendum. The main motion in delaying Brexit was approved by 412 to 202 votes, with the Parliament now meeting again next March 20. If PM May's deal is approved before that date, then Brexit should be extended until the end of June. If not, then the extension will be in the EU's hands. There are no economic data scheduled in the UK today, so traders will stay on the lookout for any possible Brexit development. 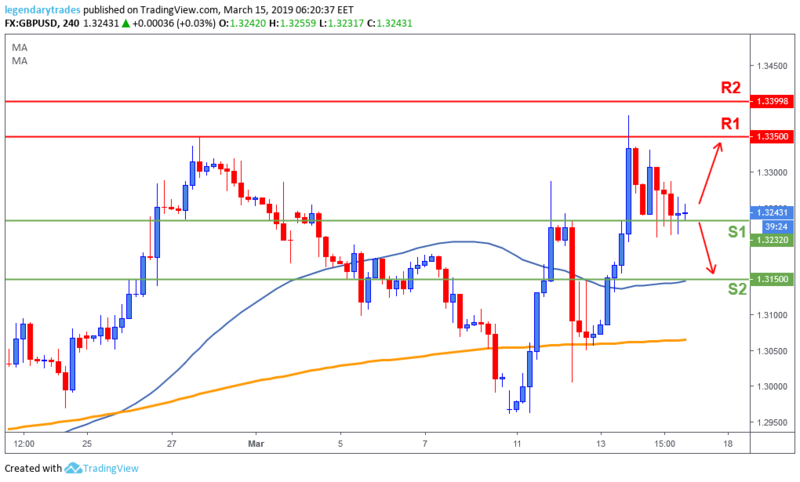 The Pound had a volatile session yesterday but managed to stay above 1.3230 (S1). If the buyers can gain momentum from here, 1.3350 (R1) could likely be retested. If the bears manage to break below this area, then we could possibly see further weakness 1.3150 (S2).